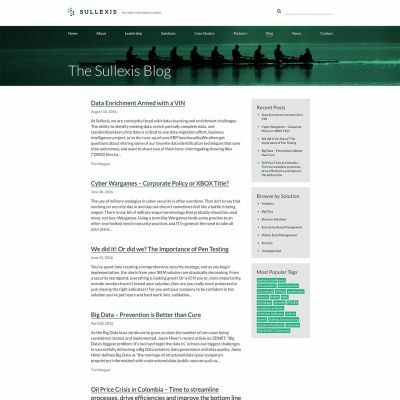 I had the opportunity to help Sullexis convert their site from their previous custom CMS over to the WordPress platform. 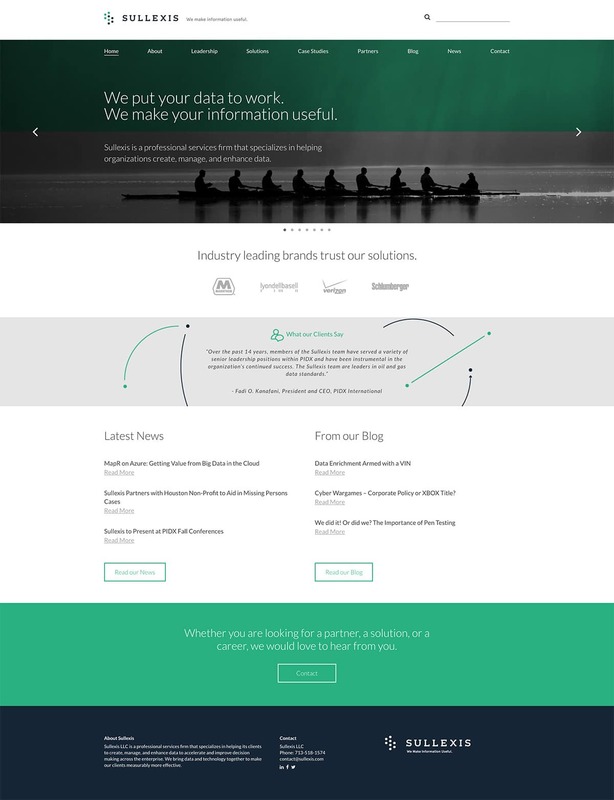 All aesthetics from the previous iteration were retained but the design was also modified to behave responsively in the conversion. 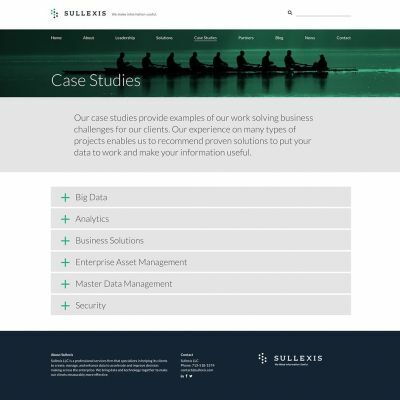 They were able to keep everything they loved about the front-end of their site, but now it has the added ease of WordPress’ content management system behind it.